Product prices and availability are accurate as of 2019-04-21 16:29:18 EDT and are subject to change. Any price and availability information displayed on http://www.amazon.com/ at the time of purchase will apply to the purchase of this product. 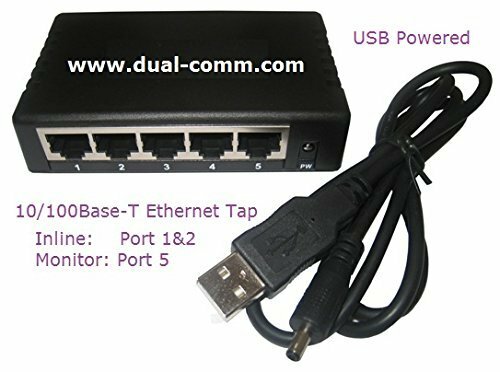 Dualcomm DCSW-1005/DCSW-1005PT is a Network Tap for use with a 10/100Base-T Ethernet link. Its small portable size and being USB powered make it an ideal network traffic sniffing device for monitoring and troubleshooting data traffic in a 10/100Base-T Ethernet network. 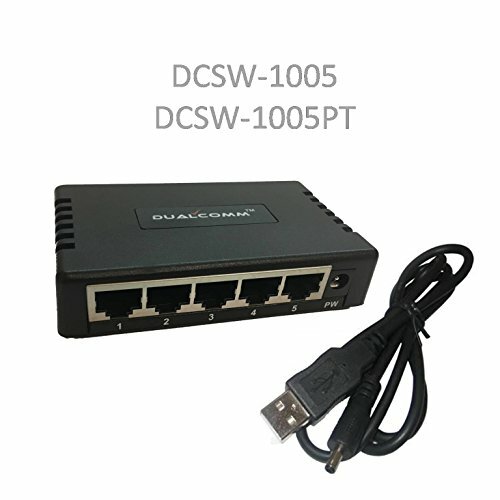 DCSW-1005 and DCSW-1005PT can also be used as a 4-port 10/100Base-T Ethernet Switch. Model DCSW-1005PT further supports PoE inline power pass-through between the two inline ports, which is a very useful feature for capturing traffic of packets on a PoE link segment as DCSW-1005PT does not block the PoE inline power. 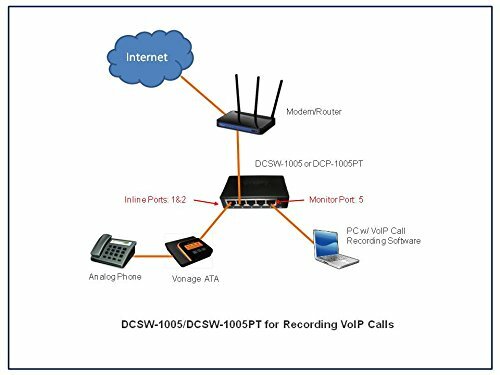 Model DCSW-1005 does not support PoE pass-through.